Meditation opens the door to deeper wisdom and faith. As a result, you will become more genuine and authentic, more able to flow with daily experiences in life. No longer trudging the path of stress and tension, harmony in relationship prevails, patience, respect, kindness and compassion are your beautiful new rhythms in life! 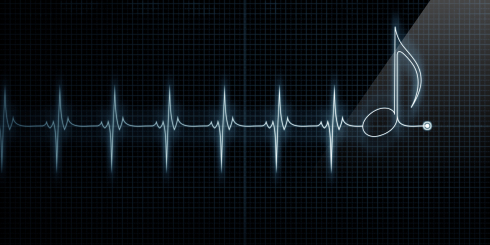 Horizontal Pulse Trace Heart Monitor with music note in line.